This summer I decided to revamp and redesign my whole newsletter and website. I wanted to try to wrap them both in a theme that captured the essence of who I was as an author and person. I didn't know exactly what I wanted as a theme, so I spent some time looking up sites of authors whom I had heard had a good PR vibe. One site was a best-selling contemporary romance author. She has a gorgeous website and newsletter, tastefully decorated in white and some sort of soft, refined rose color that I wouldn't be able to name if someone put a gun to my head. Her site contains pics of herself in her well-decorated, kid-free NYC apartment, with her cute-as-a-button, little black size-0 dresses, sipping wine. And in heels. Of course she was wearing the most adorable high heels in all the shots. Okay, I don't think she was actually pictured wearing heels, but I know she was, okay? SHE WAS. And as I studied I realized I wanted to have that for my website and newsletter! I showed it to my hubby, Capt Awesome, and argued how it would fit me perfectly! Except, I have four kids, rarely put on makeup, never wear heels and am two digits away from her size zero black-dressed self. Nor do I write charming, witty romances set in NYC. I write books where people are running for their lives and fall in love with each other while dodging bullets. So her site theme and it's rose color (seriously, what is that? salmon? terra cotta? coral?) just wasn't going to work for Janie Crouch.com or my newsletter. One, because I could never use a color that subtle and two, because I had to search for what made me, me. Who was I? What was my brand? Not just in my books but in my life. It definitely wasn't high heels. 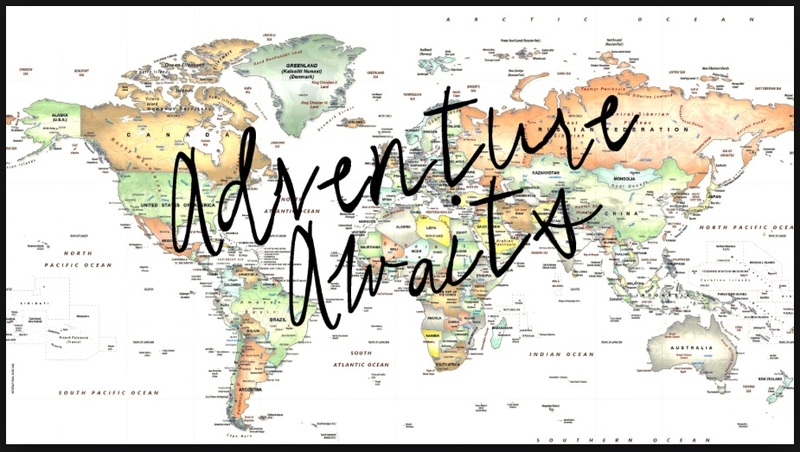 The word I kept coming back to: ADVENTURE. I'm always on the go, seeking out new challenges and experiences. I love to travel, love to race, love to eat new foods and get lost on trains. I'm not a size zero sipping wine. But I am a size ten who loves adventures of all sorts while wearing my red converses. I hope if you haven’t subscribing to my mailing list you will do so. You can find the form here: http://www.janiecrouch.com/contact . For doing so, you not only receive an e-copy of my Omega Sector book, SPECIAL FORCES SAVIOR for free, you also get entered into my monthly contests, just by being a subscriber. Plus you get all the updates on my book releases, giveaways and stories about the times I accidentally got my kids drunk in Spain. As the Cheshire Cat said, "Every adventure requires a first step." The changes in my website and newsletter are mine. It just won't be in heels. I’m doing a special giveaway for JRS readers! 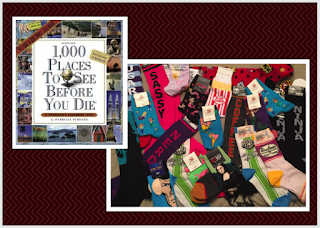 Win an ADVENTURE BOX (a “1000 Places to See Before You Die” Calendar, a pair of sassy socks, handbag and reader’s choice of any of Janie’s Omega Sector books). All you have to do is subscribe to my mailing list, or get a reader friend to join! Hahaha.Great post! The SECOND you wrote about the heels, I knew EXACTLY which author you were talking about! !